Remember in my last entry when I said that the Islanders needed to wake up? Well, so far over the last 8 games, the have seemed to climb out of bed. The Islanders have won 6 of their last 8, and recorded points in 7 of those games, with the exception being the dud they had against the Rangers. These are also wins against the top teams in the NHL. Lets take a look at the teams they beat. Anaheim Ducks: 42 points-Currently 9th in the West. Islanders beat them 3-2 behind 3 goals in 98 seconds. After a tough shootout loss against Phoenix, the Islanders took care of business again against the Tampa Bay Lightning, winning 2-1. John Tavares got the overtime winner and sent the crowd home happy. Currently, the Lightning are 2nd in the Eastern Conference. The only non-quality team on this list, and the only road game on this list. The Islanders took a short bus trip to New Jersey and crushed the last-place Devils by the score of 5-1. The Islanders only got 14 shots, and it was enough to catapult the Islanders out of, and send the Devils into the NHL's basement. As a blizzard swept through the eastern coast of the United States, making it nearly impossible for fans to get to the game, the game went on, and the Isles kept rolling, beating the Montreal Canadiens 4-1. 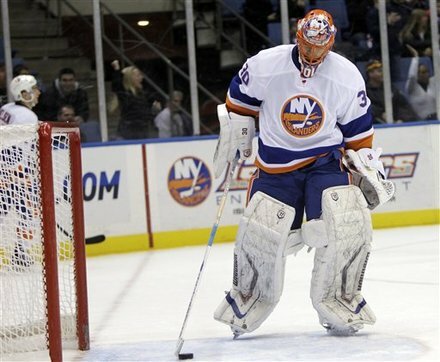 Dwayne Roloson made 34 saves, and James Wisniewski scored his last goal an Islander. Coincidentally, he is now a member of the Canadiens. Best of luck to you James, thanks for the help. The Canadiens now are in the last playoff spot in the Eastern conference. Though the Islanders got murdered at MSG on Monday, they made up for it in a big fashion on Wednesday. They beat the best team in the NHL, the Pittsburgh Penguins. 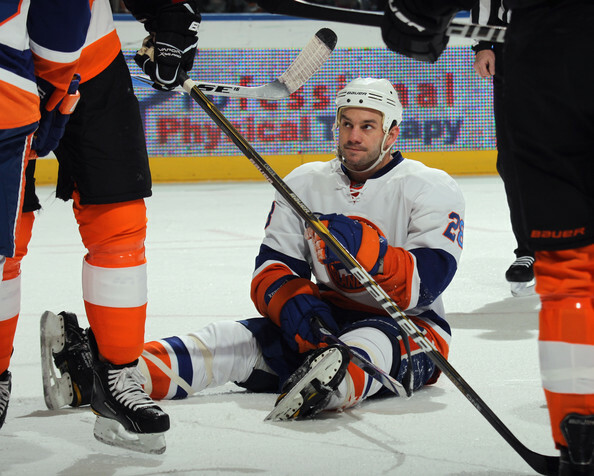 It went down 2-1 in the shootout during Rick DiPietro's first game in some time. Almost as important as the win itself, the Islanders snapped Sidney Crosby's 25 game point streak. He did nothing. The people at 24/7 Pens Caps will have something to say about that, as do I. To close off 2010, the Islanders went into Detroit, and left with another 2 points, beating the top team in the Western Conference. P.A. 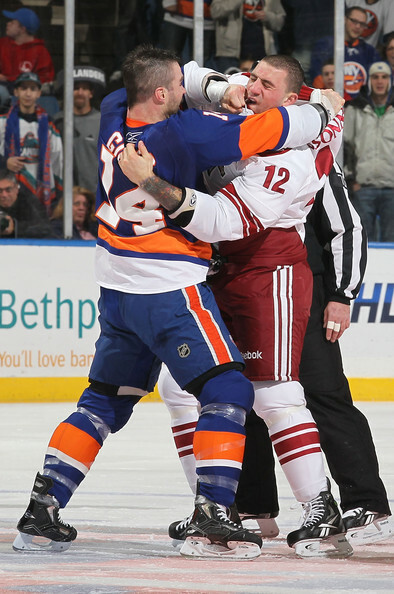 Parenteau got the overtime winner on the powerplay during a perfectly executed play and great pass by John Tavares. A sell out crowd in Detroit was left shocked by the lowly Islanders coming into town and playing a great game. Kudos to Dwayne Roloson, who at age 41, is one of the top goalies in the NHL in the past few weeks. 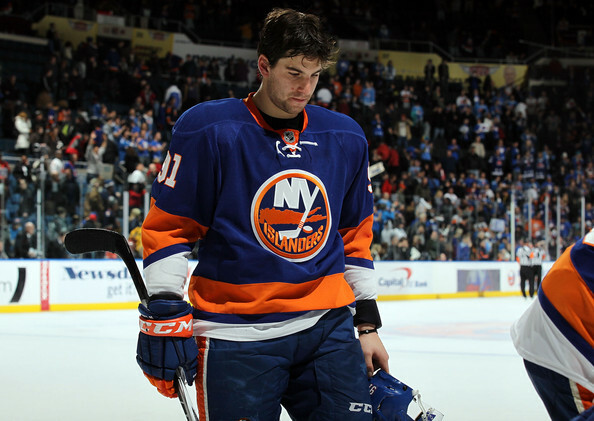 2010 is over, good thing for the Islanders. Now let's hope that the momentum from the end of 2010 carries into 2011. They have a huge west coast road trip coming up to start the new decade. Time to gain some points in the standings. I have absolutely no idea what is happening. But the Islanders have just won 2 of their last 3 games and recording at least a point in each one. And the best part about this is that they were all close games. When earlier it seemed that the Islanders could not figure out a way to win, they are figuring out ways to win now. Yes, it is only 2 wins, but they are 2 hard earned wins and 5 hard earned points. Let us take a look at these last 3 games because there may not be too many more bright spots soon. The Islanders score 3 goals in under 2 minutes, and cling to a 1 goal victory. 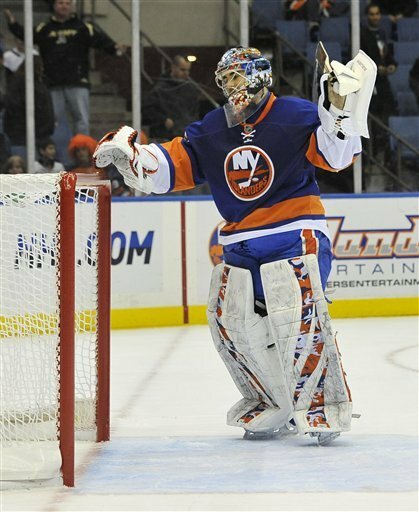 Great goaltending by Rick DiPietro and solid defense kept the Ducks out of the net when it mattered most. Thanks for leaving Jason. We don't miss you. P.A. Parenteau Celebrates his goal. To see a video of this fight, click HERE. I have seen the Isles get in a while. Although the Islanders didn't win this game, as a matter of fact, they blew the lead with 1:28 left. (See video.) They played hard for the full 60 minutes and overtime, and rookie goalie Nathan Lawson showed some promise. They may need that promise if DP can't suit up again soon. 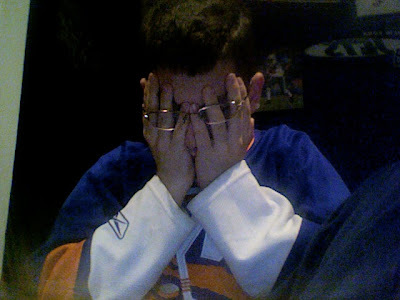 The Isles didn't lose the game, they just got unlucky in the shootout. No big deal. The red-hot Tampa Bay Lightning just came into town today. They took an early lead, and thanks to another P.A. 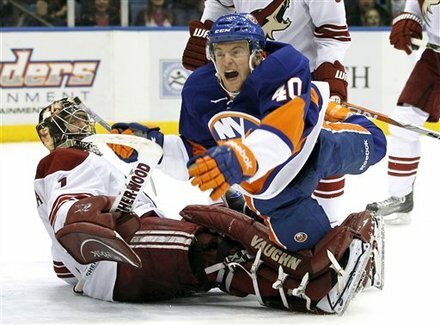 Parenteau goal, the Islanders tied the game late in the 2nd period. Dwayne Roloson, at age 41, had a spectacular game in net. The big finish would be when John Tavares, breaking out of his recent slide, scores the winner past Lightning goalie Dan Ellis in overtime and sends the few fans at Nassau Coliseum into a frenzy. This is the win I personally was looking for, a grind-it-out defensive game where a play in front of the net decides the game. John Tavares parked in front of the net, and didn't leave until the puck was in the net. He was like a basketball player boxing out for a rebound. The now hot Islanders cooled off the Lightning. 3 games. 2 wins. 5 points. That's all is in the standings. But in reality, it is a huge victory for Jack Capuano, who can possibly have 3 great goaltenders, if they are all healthy. The young team is starting to gel. Hopefully it keeps on happening, because I am liking what I am seeing for once. I am not going to say any words of my own. Only a quote from announcer Howie Rose that pretty much sums up the last 20 games. He said this after the Atlanta Thrashers took a 5-3 lead in tonight's game. "The frustration level could not appear to have been capable of going any higher over the last couple of games. Somehow, it has just gone right through the roof." Now I leave you with some images of frustration. A picture is worth a thousand words, and I don't feel like typing millions of words. So, here are the faces of frustration. There you go. The faces of frustration. It can't get too much worse. Lets see what happens. The Effort was Good. The Scoreboard was Not. Now the tide turns. This is the turning point. The end of a streak. Two great comebacks in one game. An unfortunate loss. Cass it whatever you want, but the Islanders season is about to change. 2 Ranger goals were stupid goals, because they deflected off or Islander players and went in behind Rick DiPietro. 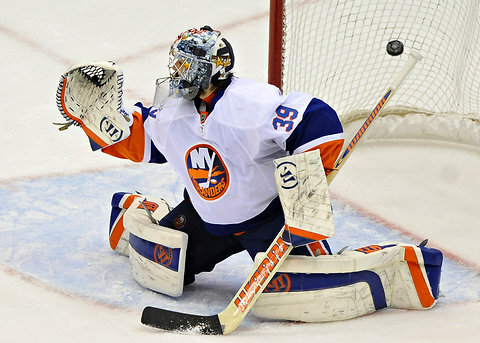 Speaking of Rick DiPietro, his save percentage in the game was only .769. That will not win games. Not at any level, not anywhere, not ever. Since DiPietro played so badly in the first game, veteran Dwayne Roloson will get the start in the second game of the home-at-home. Let's hope something different happens tonight. The tide is changing.